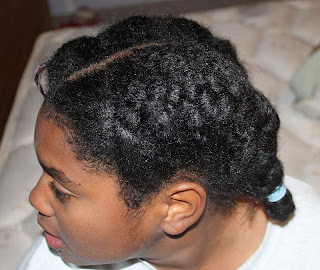 That's how long it took me to wash, condition, comb, straighten and braid Naia's hair for the first time tonight. I think I* did a darn good job. And I bet I can shave 5 whole minutes off that next time. *Ok, Marie and I did a darn good job. I'd never done a French braid before so Marie had to show me how it's done. 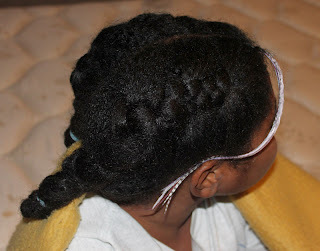 The braid on Naia's left is Marie's; the right one is mine.